Use this album to gain the inner strength and the confidence to "come out of the closet", tell your friends and family you are gay, and be more open about your sexuality. Are you hiding your real sexuality from your friends, family, work colleagues...? Do you want to come out, but you're afraid of their reaction? 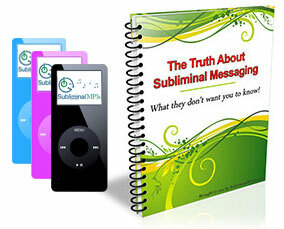 Would you like to finally be free to just be who you are, without any worries or insecurity? Hiding your real sexuality can be a big burden, it can cause you emotional stress and needless worry and anxiety. Coming out can be a hard thing to do, but it will give you the freedom to just be yourself and live your life the way you want to. Once you tell people that you are gay it will be a massive weight off your shoulders, and this album will help you to mentally prepare for doing exactly this. Ignore these worries and focus on the good things about coming out - how it will improve the quality of your life, the freedom you will gain, and the intense pleasurable feeling you will get in terms of the relief you will feel for finally getting it over with. Become more confident about people around you. You will stop viewing them as obstacles to your happiness and freedom, and this will remove all the resistance from your part. Telling them who you really are will become something that you'll look forward to do. Find strength and confidence to do it peacefully. You will lose all insecurity and understand that it's just something that you need to do - so you will be able to find the best way to come out, and to actually do it! 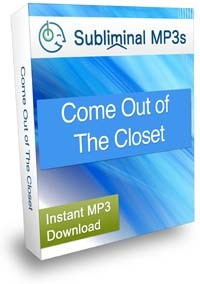 Listen to this subliminal audio album for a few days and watch your attitude change - take a step towards the first day of the rest of your life with our "Come out of the Closet" subliminal mp3s. This album is part of our sexuality range - other titles of interest might be our confident homosexual male and confident lesbian albums.